Rich with the beauty of Old World design, the grand traditional style of the Rafferty Round End Table transforms any living area with a comforting elegance. The dark stained wood framed table top features nailhead trim and etched metal accents to capture the essence of traditional styled furniture. The metal legs are beautifully adorned with twist square details and a rich finish. 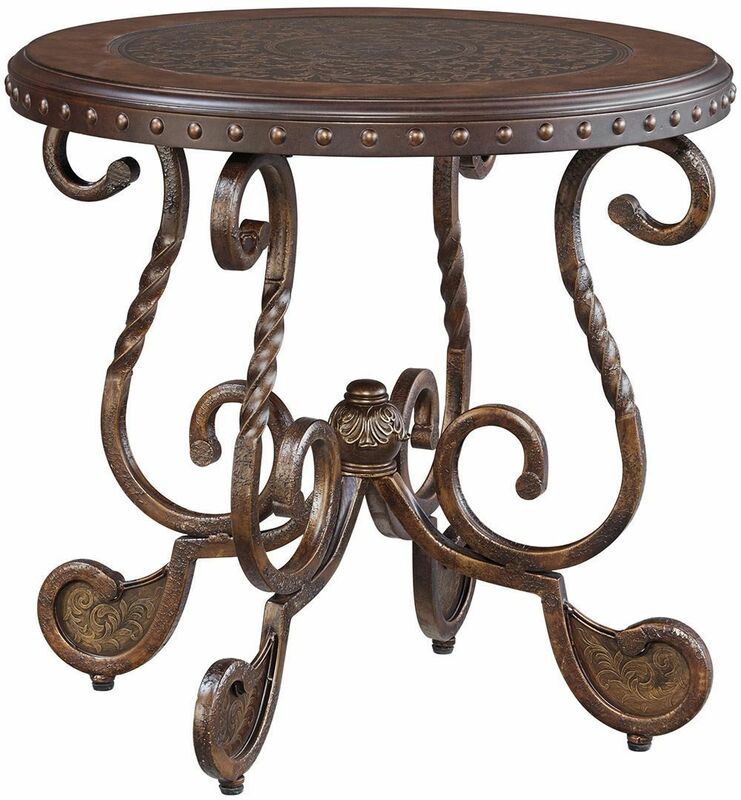 Accent the beauty of any home with the Old World elegance of the Rafferty Round End Table. 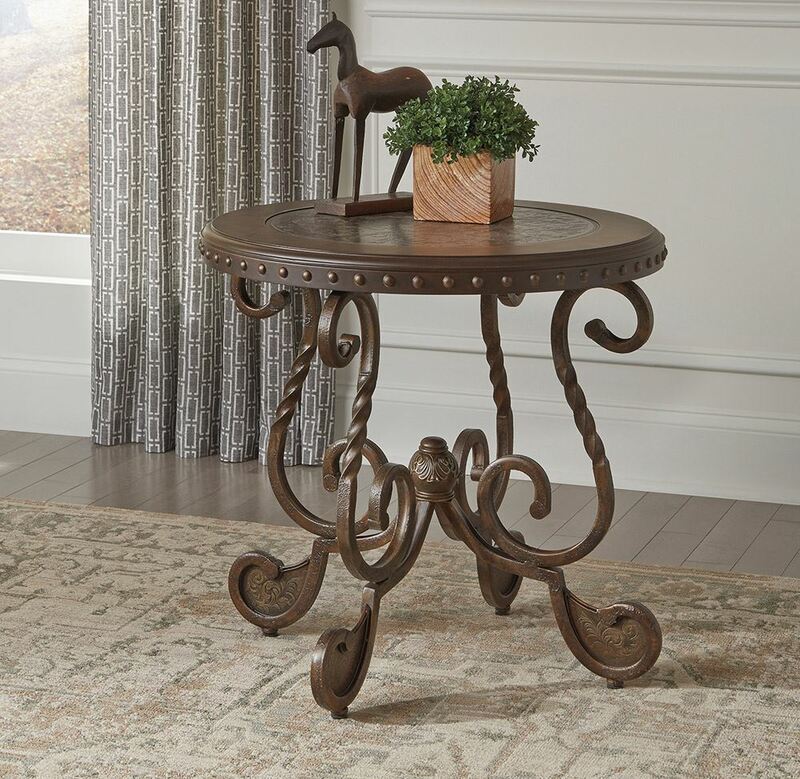 Rich with the beauty of Old World design, the grand traditional style of the Rafferty Round End Table transforms any living area with a comforting elegance.